I have been given a broken Susie Cooper plate by a very good friend. This is the piece I am currently working on. I am considering using the individual fragments andimbedding each one in its own candy jar. When I was researching Susie Coopers work I was struck by the huge range of colours she used throughout her career, I felt a bit like a kid in a candy shop with such a rich array of colours and iconic shapes to choose from. I am currently in the process of making a 3 piece mould of an old plastic sweet jar and whilst that process has been happening I have been experimenting with an old jar mould I found in the back of the shed at work. The results of the casts from the old jar mould have been very clunky and ugly but it gave something to do whilst I am waiting for my mould to be finished. 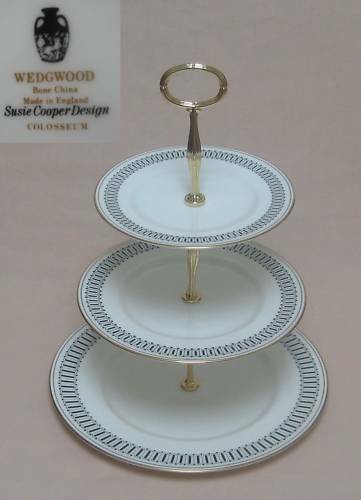 I have also been considering fixing the above plate and turing it into a 3 tier cake stand with the top an bottom new plates reflecting the original colours or being white with the pattern etched into it. http://www.cakestandheaven.com/cakestandheaven/prod_1382833-Susie-Cooper-Bone-China-Red-and-White-Three-Tier-Cake-Stand.html I want to buy this!